(Photography .35mm-Photoshop C.S.6-Digital Art Oil Painting Rendering) Location: Thorndon Park-Syracuse NY. 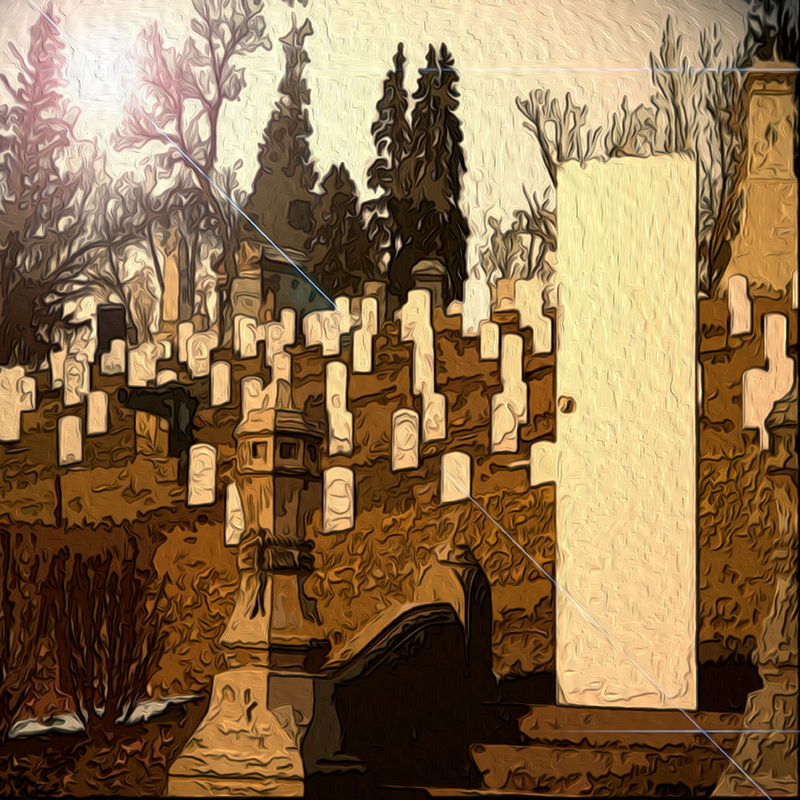 DESCRIPTION: I created this photo because I wanted to convey the feeling of mystery regarding the after life. No one knows where we all go when we pass away, or if we will go anywhere. It’s all a big mystery, and a mystery that no one will ever know while still among the living. I had my girlfriend carry a door around with us all day on this photo shoot. In this particular photo, she was standing behind the door as to keep it propped standing up. My desire was to create a mood that was both ironically sunny and eerie at the same time. In this photo you can see the gravestones and how they also appear to look very similar to the door. I liked how the concepts played off of each other. I also added some lens flare to the actual existing sunlight in order to drive a connection between the doorway and the sunrays. You can see that the main sunray is pointing towards the doorway, almost in an inviting type way. I am not sure of what I believe in as far as our after life is concerned. I think this mystery is what inspired me to explore it in a visual way.